When it comes to monitoring the cpu and ram usage on your linux machine, htop is the best tool to use. It is an ncurses based commandline too that does not require any gui like desktop, but still provides a very interactive and featureful interface to monitor processes running on the system along with other details like cpu usage, ram usage etc. It is a must have when you want to monitor the resources of your linux server over an ssh connection for example. The url has rpm packages for various versions of redhat and centos and both 32bit and 64bit architectures. Download the one that is suitable for your os version. Now launch htop and monitor the resources like a pro. 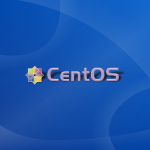 If you are running centos from the terminal then you can use the lynx browser to navigate to the website and download the file. Htop and many other packages are available from the rpmforge repository for centOS. The steps to install are again quite simple. 1. Get the rpm installer for the rpmforge repository from http://wiki.centos.org/AdditionalResources/Repositories/RPMForge. Make sure you download the correct rpm file matching your system architecture and centOS version. For centOS 6.4 on 64bit machine I would download the following. Now that rpmforge repository has been setup we can install htop right away using yum.